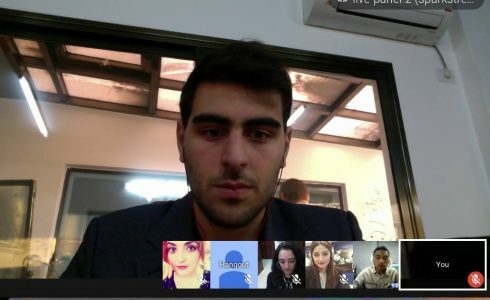 Legacy International with the assistance of SparkStreet Digital and Arlington Independent Media brought together the 10 Emerging Young Leader Awardees for their 6 month update via a live webcast event from 10 different time zones. It was a time for the leaders to reconnect with each other and share what amazing work they have been up to since being honored by the U.S. Department of State earlier this year. Along with the live studio audience (which included State Department staff, Legacy International staff, partners from the EYLA program, and even Shakib, the young leader from Afghanistan). the event was also webcast live (keep an eye out for the video) for the U.S. Embassies in countries that nominated the leaders for this prestigious award. Other friends of the Emerging Young Leaders and Legacy were able to follow along on the TweetChat and facebook posts of specific highlighs. Check out the TweetChat on Twitter and Shakib’s live update on our Facebook page. Stay tuned for detailed blog posts that highlight each of the leaders and the work they are doing in their communities addressing increased collaboration on global issues affecting youth, particularly those involved in combating extremism, empowering voices, and peace building. 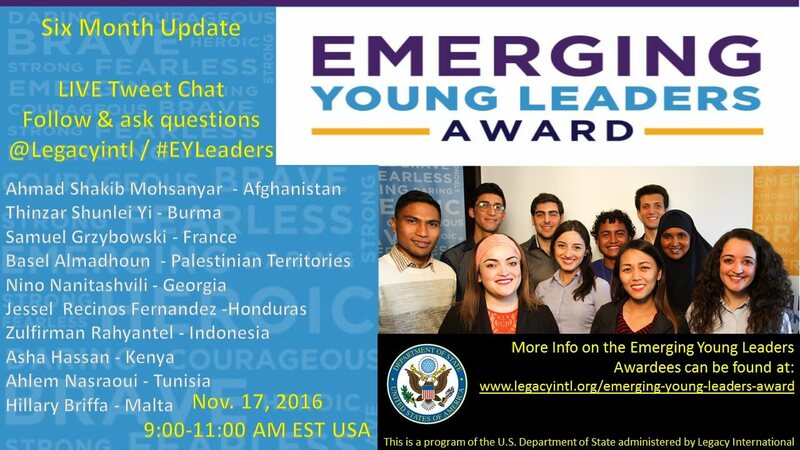 The Emerging Young Leaders Award is an initiative of the U.S. Department of State’s Bureau of Educational and Cultural Affairs and organized by Legacy International.